The perfect combination of style and lasting durability, this sink from Kraus is just the upgrade your bathroom needs. Manufactured using high quality glass, it can withstand all kinds of everyday wear without losing its stylish appearance. You'll be glad you chose this top-grade sink for your next home improvement project. 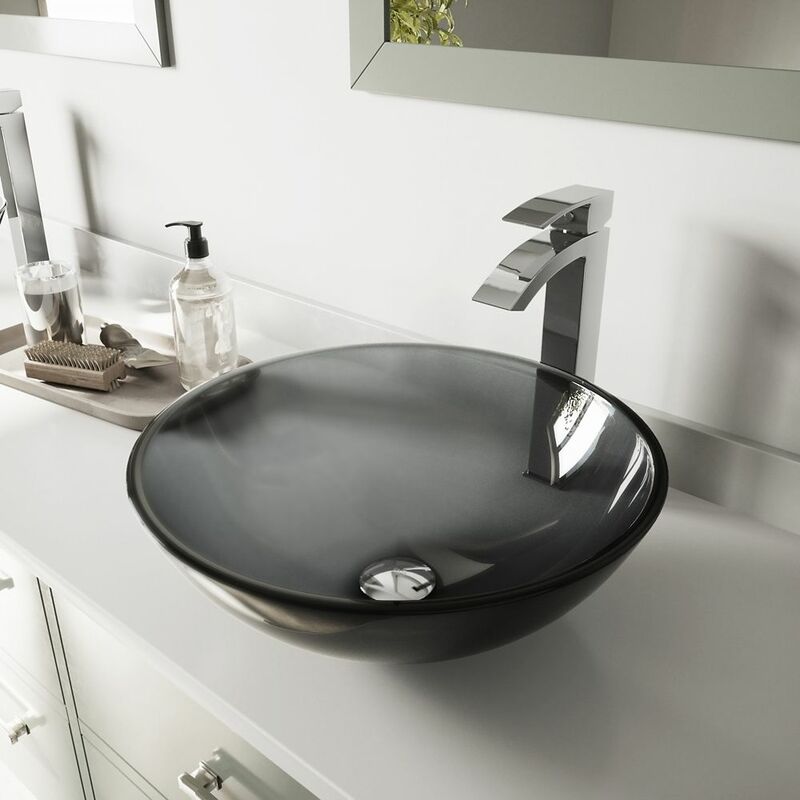 Glass Vessel Sink in Sheer Black with Faucet in Chrome is rated 5.0 out of 5 by 2.